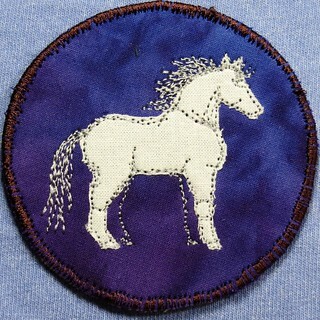 Epona is associated with horses, and (possibly only in my mind) with white horses. Probably because I think of the Connemara ponies as being important in that part of the world, and all of my favorite Connemara ponies are gray. It was an exciting weekend. On Saturday I met some people who only existed online, and then ate out and then went to see the Valley Light Opera version of Patience. I have a deep and inexplicable affection for Gilbert and Sullivan, particularly local versions of it. This version of it was costumed from the 1960's with some very vibrant color combinations, but the rest of the production was solidly and joyfully recognizable. So today was dedicated to sleeping late and running errands and returning Aerin to school.